The Uber Elevate Summit was borne of one simple, zany question, according to Uber head of product, aviation Nikhil Goel: “Why can’t we fly around the city?” At the time the idea was percolating, back in October 2016, innovations in ridesharing were lowering the cost of transportation, which in turn opened the market up to more and more people. “But what we realized was that as we provided more affordable options that then induced more demand for automobile transportation, there’s still only so much we can do on the ground because roads and highways can only expand so much to accommodate all of this traffic that would be coming,” he says. 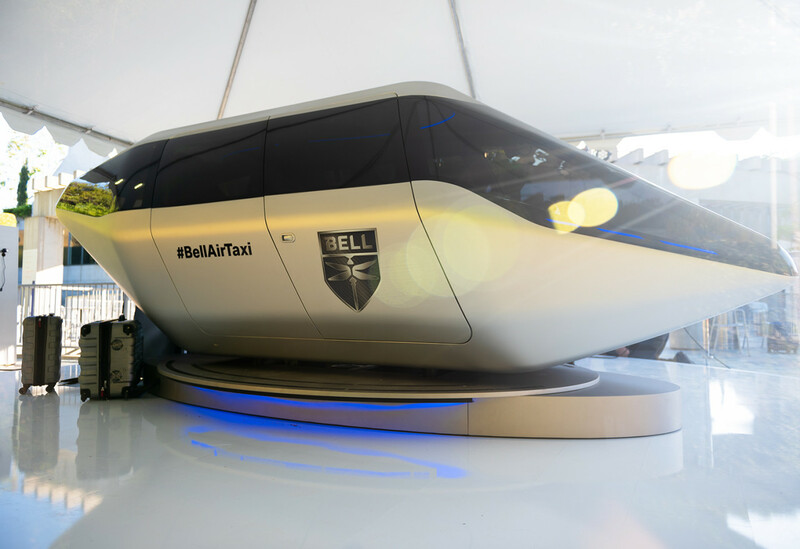 Drawing inspiration from the way skyscrapers alleviated residential and commercial congestion on the ground, Uber decided its next step was vertical takeoff and landing air taxis. 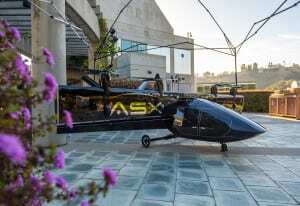 The first Uber Elevate in April 2017 drew a crowd of a few hundred real estate developers, investors, government officials, policy makers and aviation folks who were interested in making flying cars a reality. 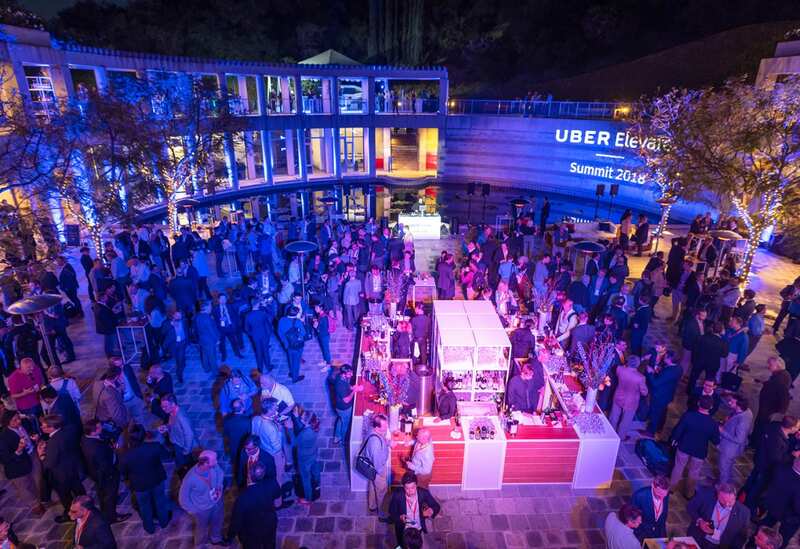 But for year two, which took place this year May 8-9 at the Skirball Center in Los Angeles, Uber took it to the next level with a two-day summit featuring multiple plenary stages, immersive experiences, interactive spaces and networking events. The idea was to further Uber’s vision of urban aviation, showcasing advancements and establishing connections across industries. 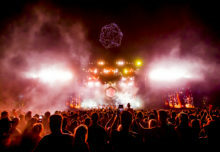 “We wanted to create a multi-day, magical experience that really allowed the community to gel,” says Goel. Following are the strategies and solutions Uber employed for a crowd of more than 1,200 aviation leaders and aficionados. An important goal of the summit was to introduce the Uber Elevate team—which had grown quite a bit in between the two summits—to this budding new ecosystem. “We’ve hired so much wonderful talent, from the Army to Tesla to Zee Aero, which is one of Larry Page’s flying car companies, to NASA,” Goel says. The idea was to showcase the talent and create bonds between them and the rest of the industry. 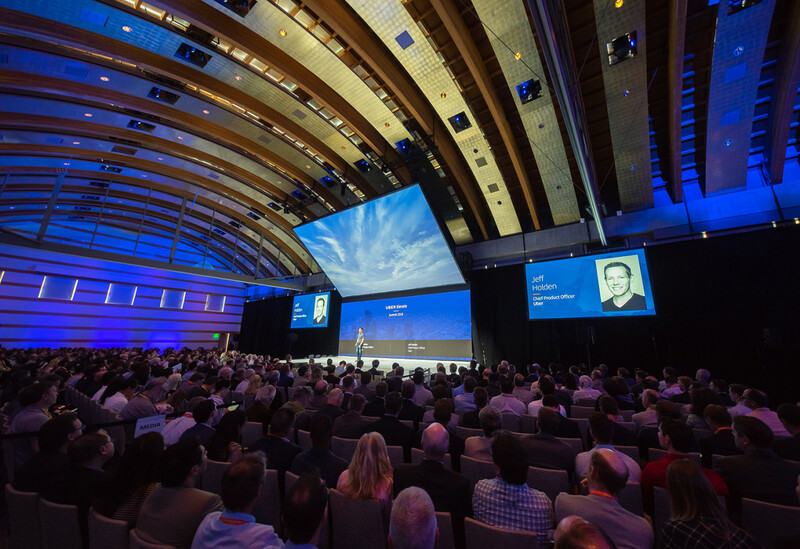 The solution was to start off day one strong with impressive keynote presentations from about 30 team members. In addition to the Uber team’s growth, the number of the brand’s partnerships had also increased and, most importantly, its partners had made notable progress in their work. Thus, highlighting Uber’s partners around the world was key. “They’ve made tangible advancement against our goals of doing demonstrator flights in 2020,” Goel says. To accomplish this, Uber brought the partner companies’ ceos, engineers and technical visionaries on stage to discuss their creations and progress. For example, Dr. Jaiwon Shin, associate administrator for NASA, announced a partnership between Uber and NASA to work together on-air traffic management, and the acting administrator of the Federal Aviation Administration, Daniel Elwell, did a fireside chat with Uber chief product officer Jeff Holden. Uber Elevate’s goal is to see flying cars in cities in five years. “That’s a crazy leap for most people, so in order to accept that and more importantly become a part of it, we have to make it real,” Goel says. The challenge was “to bring the physical manifestations of the vehicles to life.” The solve: Uber created a “model garden” populated with reference models from partners, established companies and start-ups all across the ecosystem. 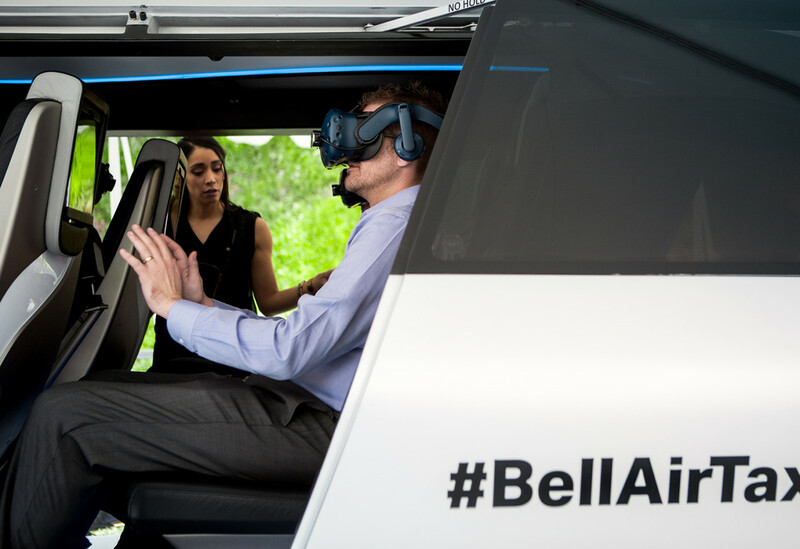 To top it off, Bell Helicopter contributed a virtual reality ride where attendees could sit inside a full-scale vehicle mockup (an eVTOL—electric vertical take-off and landing vehicle) and experience the feeling of flying over traffic. 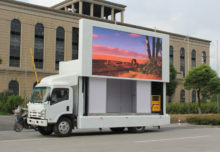 “If you’ve got government officials from around the world, if you’ve got investors all flying in to see and hear about this, there’s nothing that really beats being able to see a vehicle with their own eyes,” Goel says. Given the breadth of industries the summit brought together, a healthy amount of networking and socializing was paramount. 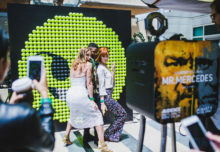 Uber hosted a picnic sponsored by Uber Eats restaurants across the Los Angeles area, and hosted a celebratory event with djs, light shows and an appearance from The Black Eyed Peas band member apl.de.ap. 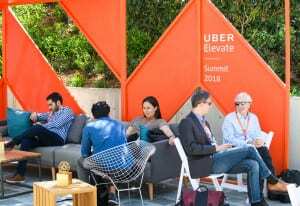 With Uber’s c-suite attending the event, including coo Barney Harford and ceo Dara Khosrowshahi, the brand wanted to capitalize on their attendance by promoting their leadership. Uber created a parallel program with private, one-on-one meetings with top executive partners during the main event, while also instilling confidence in the summit’s purpose by scheduling on-stage appearances. Case in point: An on-stage interview with Khosrowshahi capped the event. 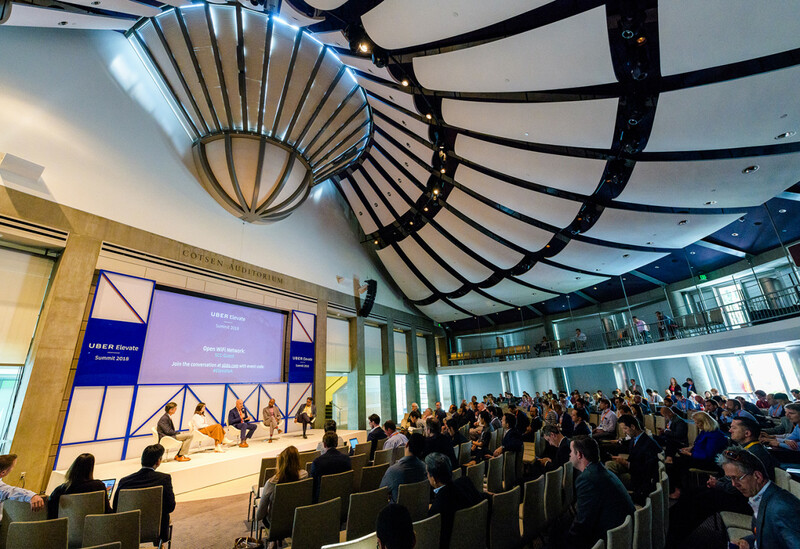 The summit brought together interested parties from diverse professions, from engineers to Silicon Valley investors to academics to policy makers—which in itself posed a challenge to creating compelling content that satisfied everyone. To establish the bridges between the groups, Uber organized the two-day summit into one day of instilling confidence and creating connections followed by a second day of more tailored content. Day one showcased Uber’s vision of urban aviation and its partners. “We had everybody in the same room, in the same plenaries, in the same meals and same events, with content that really united everybody and showcased not just the individual pieces but the connections between them,” Goel says. And day two was about “geeking out.” There were three different spaces: One drilled down on the underlying technology, one focused on airspace management and operations, and the third was about moving cities. “For Uber this is really about cities. It’s about making cities smarter, better, more efficient places to live,” says Goel. The three tracks ran separately, and then everyone was again brought together for a keynote by XPRIZE Foundation founder and executive chairman Peter Diamandis and finally an interview with Uber’s ceo. Approximately 1,200 people attended the event, but global media exposure significantly increased the summit’s reach. It was important to keep the more than 100 journalists in attendance engaged while also simplifying the interview process. The solution was to situate the media in the keynote area for main presentations and also create a number of separate media interview spaces—many of which were soundproof—on an upper level in the keynote auditorium. The end result was more than 1,000 articles from more than 80 countries. “All the press coverage was great to see particularly since Uber has been in the news a lot lately and it hasn’t always been positive,” Goel says. “It really helped present Uber in a light that was innovative.” Agency: Infinity Marketing Team, Culver City, CA.